The Chinese economy slowed further in the fourth quarter, matching its lowest recorded reading during the global financial crisis in 2009. The fourth quarter growth rate of 6.4%, year-on-year, matched that of the first quarter of 2009, according to the National Bureau of Statistics (NBS). That was the lowest growth rate since the Chinese government began publishing quarterly growth rates at the beginning of 1992. The fourth quarter rate was down from 6.5% in the third quarter. For all of 2018, the Chinese economy grew 6.5%, in line with the government’s target for growth of “about 6.5%” for the year. Last year’s growth rate was down from 6.8% in 2017. Retail sales grew 8.2% in December compared to a year earlier, while industrial production grew 5.7%. China’s GDP per capita, a closely watched measure of a country’s economic output that accounts for population, is expected to reach a key level of USD10,000 in 2018. “Our country’s population is equivalent to the total population of all developed countries and it is estimated that the GDP per capita will approach USD10,000 in 2018,” He Lifeng, Chairman of the National Development and Reform Commission (NDRC), wrote in an article. While USD10,000 is still significantly lower than that of other developed countries, it represents a remarkable development for a country with more than 1.3 billion people, nearly 20% of the global population. China’s total GDP has risen to the second largest in the world, but its GDP per capita has been low due largely to its massive population. A GDP per capita of USD10,000 will not put China much higher in the global rankings. In 2017, China’s GDP per capita was at USD8,827, ranking 73rd globally, according to World Bank data. Foreign direct investment (FDI) into the Chinese mainland rebounded in December, jumping nearly 25% year-on-year – taking the year’s total to a record high. FDI in December reached CNY92.34 billion, up 24.9% year-on-year and up 23.2% in U.S. dollar terms, the Ministry of Commerce (MOFCOM) said. A total of 5,830 new overseas-funded enterprises were established last month, up 20.5% year-on-year. In 2018, FDI rose 0.9% to CNY885.61 billion or 3% to USD134.97 billion. Last year saw 60,533 new overseas-funded enterprises established, up 69.8% year-on-year. The country saw nearly 1,700 major FDI projects with a contract value above USD50 million, up 23.3% from the previous year. “As a guiding indicator for foreign investment, the number of major FDI projects posted a marked increase, showing that foreign investors’ confidence in China has not been undermined,” said Tang Wenhong, Director of MOFCOM’s Foreign Investment Administration (FIA). 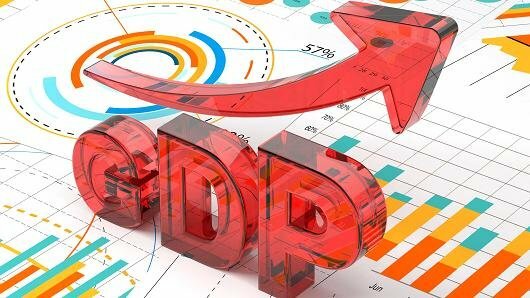 China’s outbound direct investment (ODI) in 2018 was up 4.2% year-on-year to USD129.83 billion. Financial outbound direct investment totaled USD9.33 billion, skyrocketing by 105.1% from a year earlier, and non-financial ODI grew 0.3% year-on-year to USD120.5 billion. Chinese companies invested a total of USD15.64 billion in 56 Belt and Road countries, an increase of 8.9% year-on-year, accounting for 13% of total ODI.